It was a long, long night, and by daylight its shadows were still playing tricks. Saturday night’s opening of the eagerly anticipated Long Day’s Journey Into Night was more than a social event, although it was that. The Newmark Theatre was packed to its two-balcony gills. A post-show spread of food and drink sprawled out over two levels of lobby. The chatter was more clamorous than at a free-for-brawl with Alvin and the Chipmunks, and first-nighters arrived resplendent in a liberal smattering of dress-up Hawaiian shirts (Mr. Scatter’s attire), leopard-skin party dresses, silk jackets and loose-neck ties, even though the temperature was in the high 90s — or, by Puddletown standards, dangerously close to the hubs of Hell. It was also one of those moments of coalescence when a particular piece of art mattered, whether individual people happened to “like” it or not. One way or another, people were thinking, and arguing, about it — some of them, I imagine, into the wee hours of the morning, when they may or may not have been wearing off a Tyrone-size hangover. Boffo. There it is. He loves that word. It makes him feel so, so … Variety-ish. As in, “Sticks Nix Hick Pix” (improved to the more rat-a-tat “Stix Nix Hix Pix” in the 1942 movie musical Yankee Doodle Dandy.) Please hand Mr. Scatter his wide-brimmed hat with the “Press” card sticking out from the band. He’ll spring for drinks, giggles and gossip at the Cocoanut Grove if you’ll bring him the lowdown for his next juicy Hollywoodland scoop. Wait: Is that Gloria Swanson in the next booth? 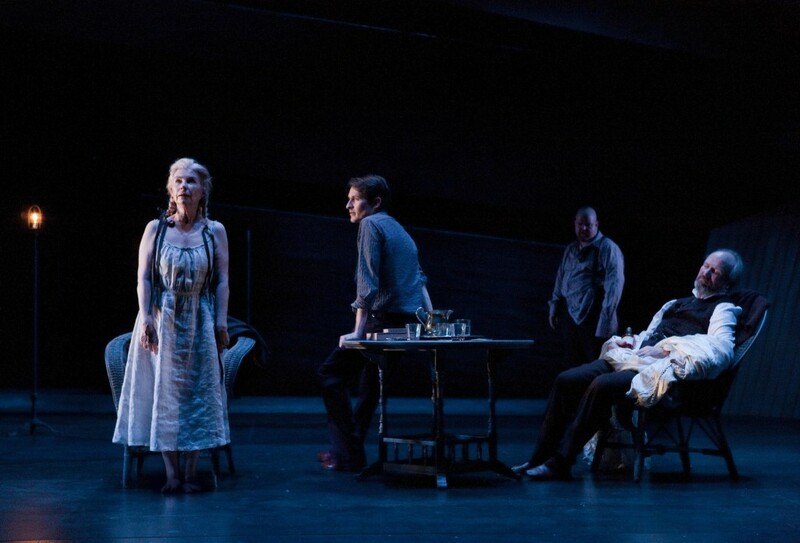 In brief: Sydney Theatre Company‘s production of Eugene O’Neill’s harrowing masterpiece has been knocking ’em dead Down Under, as critic John McCallum writes in The Australian. Starring William Hurt, Robyn Nevin, Luke Mullins and Portlander Todd Van Voris, it’s a co-production with Portland’s Artists Repertory Theatre. 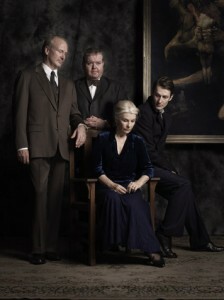 It continues in Sydney through Aug. 1, then comes stateside for its run at Artists Rep Aug. 13-29. Of more than passing interest: Artists Rep will follow up on Long Day’s Journey with a new production of the rarely revived Ah, Wilderness!, a warmly nostalgic play that’s the closest O’Neill ever came to writing a flat-out comedy. It’ll run Sept. 7-Oct. 10. Mr. Scatter just can’t help himself.